The recognized standard for high-performance project management Primavera P6, handles large-scale, highly sophisticated and multifaceted projects. Organize projects of up to 100,000 activities with unlimited resources and an unlimited number of target plans. Oracle Prime Projects Cloud Service is a complete, cloud-first success platform for all stages of the project lifecycle. It empowers executives, project managers, and field professionals to deliver projects—from inception through completion—more efficiently, consistently, and with greater confidence. 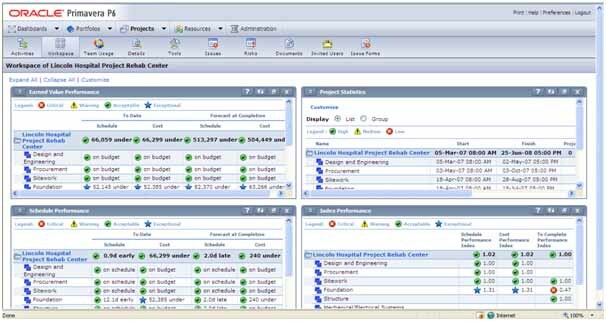 Realtime visibility into project cost, schedule, risk and performance information— delivered through powerful and flexible dashboards and reports—enables project managers and stakeholders to make the right decisions at the right time. Native social collaboration, including discussion capabilities, allows project teams to communicate and collaborate effectively for more precise project planning, monitoring, and execution. 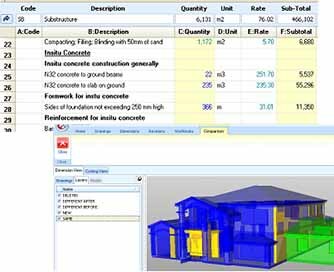 Exactal was established to develop estimating software for the construction industry and, more specifically, to integrate the estimating process with CAD drawing files. Our approach differed from others competitors by the way we directly tied measurements to the elements in the CAD drawings. This approach allowed us to deliver unique bi-directional links between the estimate and the sections of the drawing represented; the resulting product was called CostX®. CostX® is now in wide spread use amongst quantity surveying, construction, development, subcontracting and estimating firms, both large and small, around the world. Exactal not only provides take-off and estimating solutions directly to customers through its world leading CostX® range, but also provides products specifically focused on integration through its dxAPI range. It also produces the eMeasure range which is focused specifically on 2D take-off for the wider market. With BIM (Building Information Modelling) fast emerging in the construction industry and various estimating software packages claiming to support BIM, you need to make sure your software will cover all the BIM bases. 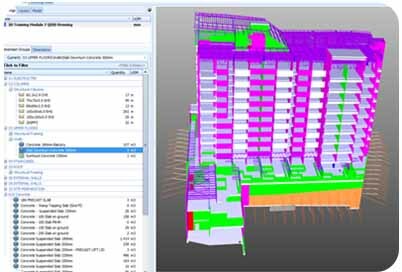 CostX® is renowned worldwide as a leading BIM estimating solution and is used in a variety of industries for this reason. Not only can you view and take-off from 3D models / BIM (including IFC) within the program, you can support 5D BIM using information from the model live-linked to user-defined rate libraries and workbooks- all within the one program. A networked environment allows instantaneous information sharing with others working on the server. Quantity take-off from Cad drawing 2D/3D (BIM), PDF or JPEG files – Reduces cost of cad software. Powerful Spreadsheet live - linked to Cad drawing – Reduces time. Workbooks Linked into User-Defined Rate and Constants libraries – Reduces Rework. Customised Professional reports can be generated. Sub-Contractor comparison with associated reports can be generated. Auto-revision of quantity changes with respect to drawing are highlighted and revisions are recorded. Large engineering and contraction projects are extremely challenging. It is very difficult to predict every accident, supply chain delay or economic downturn that may affect a project. 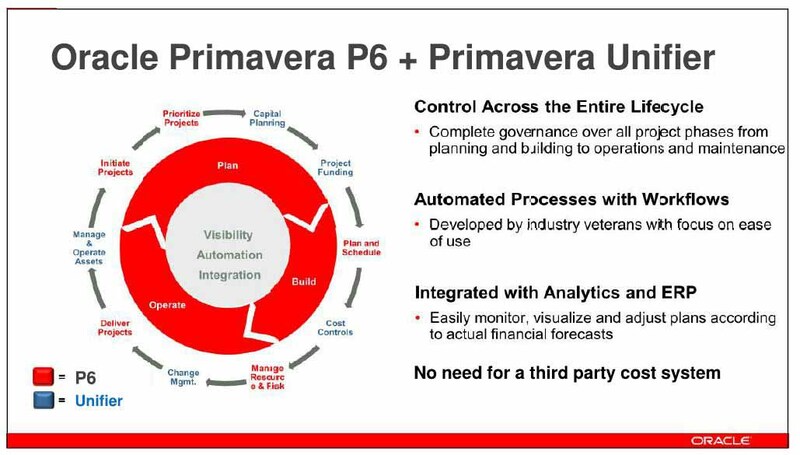 So, having a solution that enables you to look into projects details, providing visibility and transparency across all projects while working in a familiar Primavera P6 environment, can ensure projects are completed on time and within budget. Using PrimaveraReader engineering and construction organizations will be more efficient by standardizing operations to export their projects as .XER or .XSL files, and providing visibility and accountability across projects, and programs on an enterprise level. Analyze project plans in 100% of the views included in any MS Project version. Open your large project plan faster with the fastest project viewer on the market. Open Password Protected Project Plans. Open Project Plans Published on Microsoft Project Server. Collaborate through complete MS SharePoint (in-house or online) integration. Create Graphical reports as in MS Project 2013.